NewLifeOutlook recently launched a Google Chrome browser extension designed specifically for people living with chronic illnesses. 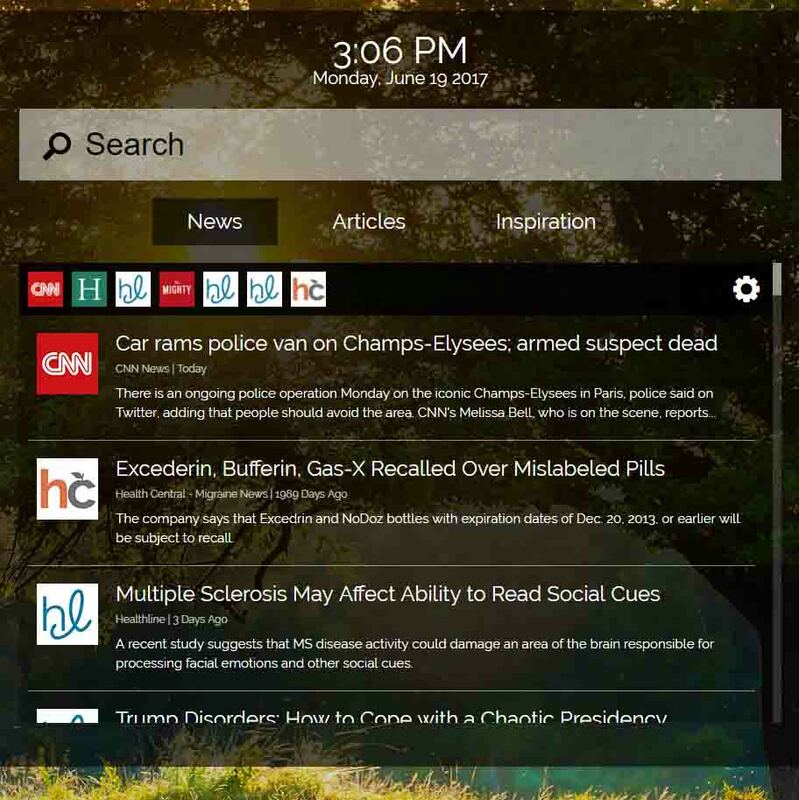 Called NewTab, the extension allows people living with chronic illness to explore a custom experience on the ‘new tab’ page of their web browser. Users can find inspiration, information, and support — instantly. With NewLifeOutlook having a collective audience of 1.7 million on Facebook and 30 million users reached monthly across all channels, NewTab has the opportunity to impact lives globally and help to simplify life with chronic illness. Cognitive impairment is a common symptom among those living with chronic or mental illness. Our To-Do list feature allows users to set reminders and receive alerts based on the immediacy of the item. Favouriting articles allows users to easily find and save articles to share with their doctor or print to bring to an appointment. It also allows them to save an article and read it later in the event they are too fatigued to read it at that very moment. To save our users the hassle of looking for information from several different sites, they can instead receive updates from their favourite sources all in one place. If a user is experiencing a new or unusual symptom or is curious about the new medication their doctor prescribed, our ‘Search’ page is available to help find answers through Yahoo! Sometimes, all our users need is a little bit of hope. Something to lift their spirits on one of those days where they had to cancel plans due to a flare-up, had to submit papers for disability, or had to remind people again what an ‘invisible illness’ looks like. Our ‘Inspiration’ tab allows users to receive a daily dose of inspiration and a reminder they aren’t alone. There’s nothing more frustrating than trying to explain an invisible illness to those who don’t have one. With the click of a button, our users can share their favourite articles right to their social network and help to educate their loved ones on their day-to-day experiences with a chronic or mental illness. There are so many health conditions that are interconnected. If someone has fibromyalgia, they likely also suffer from IBS, migraines, and anxiety. If they have lupus, they may also have another autoimmune disease like rheumatoid arthritis. If they live with bipolar disorder, they likely also have depression and anxiety. Thankfully, as conditions change, or as new conditions are added to the list of diagnoses, so can the information users receive via NewTab. Users can add or remove the conditions they’re interested in by adjusting the settings in their sidebar. Whether a user is scheduling a reminder for an upcoming doctor’s appointment, looking at uplifting messages to help them get through the day, or searching for answers to questions about new symptoms, treatments, or coping techniques, we hope they choose to do it all in one place with NewTab. NewLifeOutlook NewTab is available for download in the Google Chrome store.